Here in Connecticut, it’s easy to run out of space – especially in your closet. 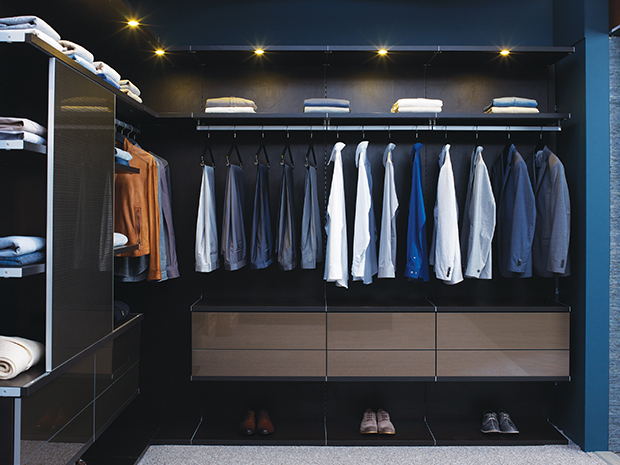 Having ample space is somewhat of a luxury, so when it comes to organizing your clothes in your closet, it’s best to turn to the professionals. The design experts from California Closets have provided easy ways to fold your sweaters so you can have a better, and more organized, closet experience for homeowners in Lower Fairfield County, Fairfield, Hartford, Litchfield, New Haven or Middlesex, CT.
Lay the sweater flat in front of you with the sleeves spread out. Lay the sweater face up out on a smooth surface. Fold the arms in – take the arms and fold them towards their opposite side of the sweater, making them crisscross. Roll the hem – Take the hem and start to roll it up towards the neck of the sweater. Flip it over – Turn the sweater on the other side, so the front of the neck and sweater are facing up towards you. Put a rubber band around the sweater. Lay out your sweater face up on a level surface. Fold the arms – Take one arm and fold the arm over the face of the sweater, towards the other side of the sweater. Grab the cuff of that arm and fold it back over the face of the sweater, towards the side that the arm is on. Do the same for the other sleeve. Roll the sweater up – take the hem and start to roll the sweater upwards, towards the neck. Stop when it reaches the neck of the sweater. Fold in half – Take one end of the sweater and bring it over to meet the other. The fold will be directly in the center of the sweater. When going through your seasonal transition in your wardrobe, carefully stow away items in storage that’s away from the outdoor elements. Lower drawer and shelf storage, or upper storage in the closet is perfect for seasonal items. 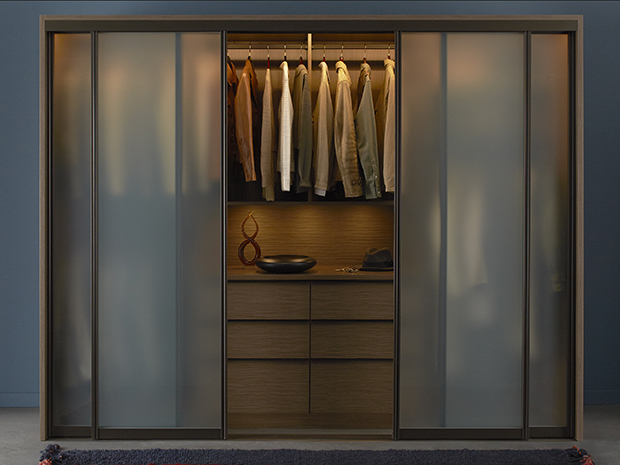 California Closets Connecticut offers numerous closet configurations that are completely customizable, whether you want a walk-in closet, reach-in closet or wardrobe. The leading experts who have been in the industry for nearly four decades create beautiful, custom closets that are extremely organized and functional for your home. Give the Connecticut team a call today to schedule your free expert design consultation or visit our Norwalk showroom today.